Cleanup and inventory will continue as library staff assess the damage and continue efforts to put the building and its contents back in order. 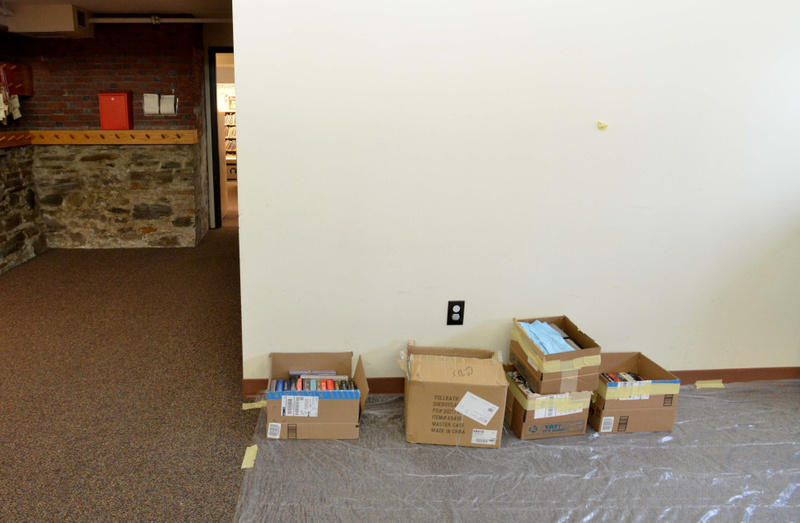 The Waterville Public Library that was flooded when a water pipe broke Saturday morning will be closed Monday as staff and volunteers continue to inventory damaged books, computers and furniture, according to a Facebook message sent Sunday by library director Sarah Sugden. Capt. Shawn Esler, of the Waterville Fire Department, said on Saturday a three-quarter-inch copper water pipe burst and left 2 inches of water on the floor, damaging the ceilings in at least two rooms on the ground floor and causing significant damage to computers, photocopiers, ceilings and wall coverings. Sugden said in the message that library staff discovered that the floors of the lobby, the children’s stacks, and the staff workroom were covered in standing water at about 9:15 a.m. Saturday. The library custodian, Robert Madore, told staff to shut off the main water line to the building and then call the fire department. Esler said Saturday a crew of about a dozen firefighters went to the library and used water vacuums and specialized pumps to get the water out of the two rooms. They also cleaned furniture and emptied out water from electronic devices that had been hit with water coming through the ceiling. “We had to move a lot of books, a lot of furniture. Some literature has been destroyed. We spent all morning basically cleaning up with water vacs, moving stuff around and restoring order,” he said. “Our guys went over there. They did a great job. We have the equipment to do this. 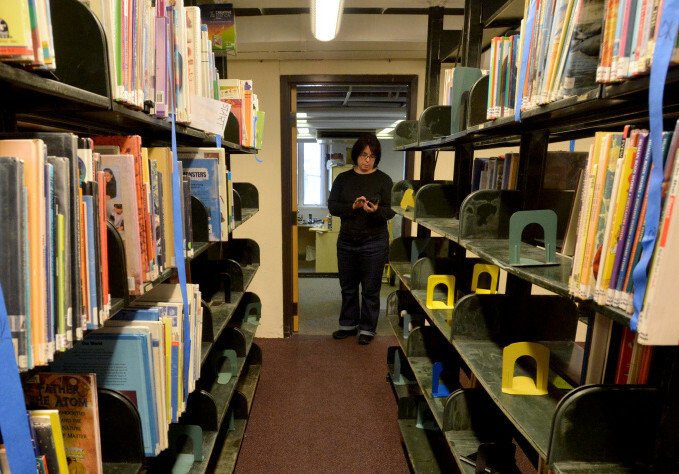 Library staff implemented the procedure for water damage and emergency situations, according to the Facebook message, removing, inventorying and assessing damage to books on the shelves doused by water. Staff also inventoried technological equipment damaged by the water and removed it from the area, though the message noted that this equipment was not repairable. Library staff are expected to complete the inventory on Monday and to provide an estimate of the damage done to books. A service technician from Houle’s Plumbing of Waterville repaired the pipe. 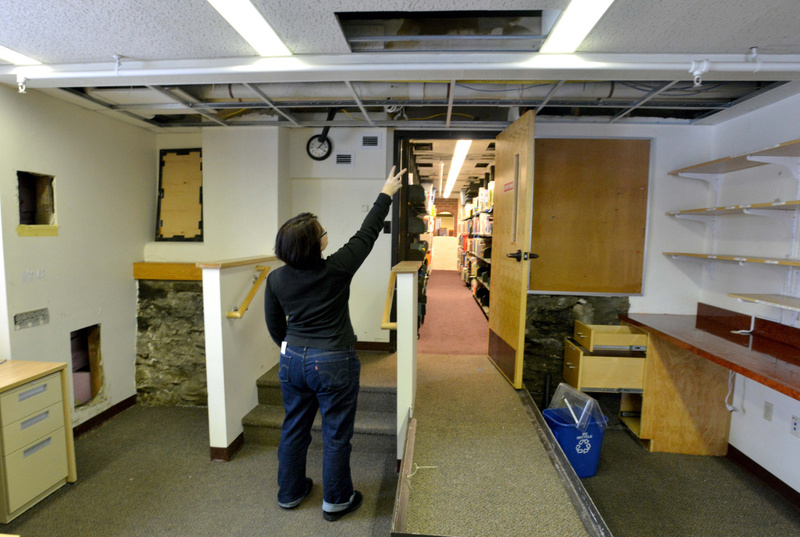 Advanced 1 Cleaning of Waterville backed up the efforts of the firefighters to prevent mold from causing further damage to the library and its holdings and will continue cleaning on Monday, according to the message. Library staff will be consulting with City of Waterville representatives regarding damage costs. The City has owned the library building since 1905 and carries the insurance for the building and its contents.